I still haven’t put together a proper thank you. Hard as I try, every time I sit down to write it, I balk. It’s just, well, I find it really hard to wrangle ALL that gratitude into a letter. For the life of me, I don’t know how to make people truly understand how much their support means to us. There’s the friend of Luau’s who donated $26.20 in honor of the marathons they both live to run. There’s the aunt and uncle who every year give so generously that I’m nearly embarrassed to come back and ask again the next year. There are my current and former colleagues, who opened their hearts and their wallets and gave from both. 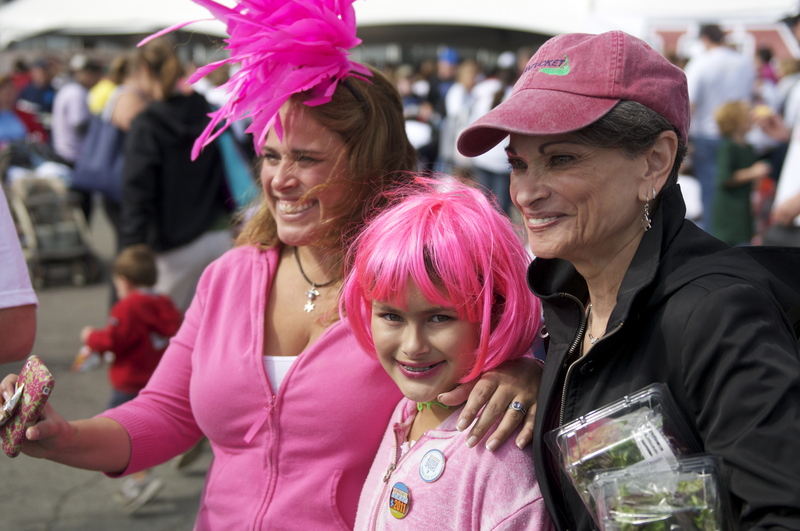 There’s my mom, whose beautiful jewelry raised awareness and funds in one fell swoop and her husband, who once again put his skills behind the lens to work as a volunteer photographer at the walk. And then there is our friend Lurch, who rose to our challenge the night before the walk – get Jess to $10,000 pre-match and Luau will dye his hair blue for his next marathon – a living, breathing beacon of Autism Awareness. Over $1,200 later, he didn’t just put us over the edge, but picked us up in a private jet and flew us over it. How do I thank those people? How do I explain the impact that their support – both financial and emotional – has on us – on the whole community? It’s a daunting task. The walk was amazing. It was different this year. Brooke was different this year. While we waited for the walk to begin, we wandered around the grounds. 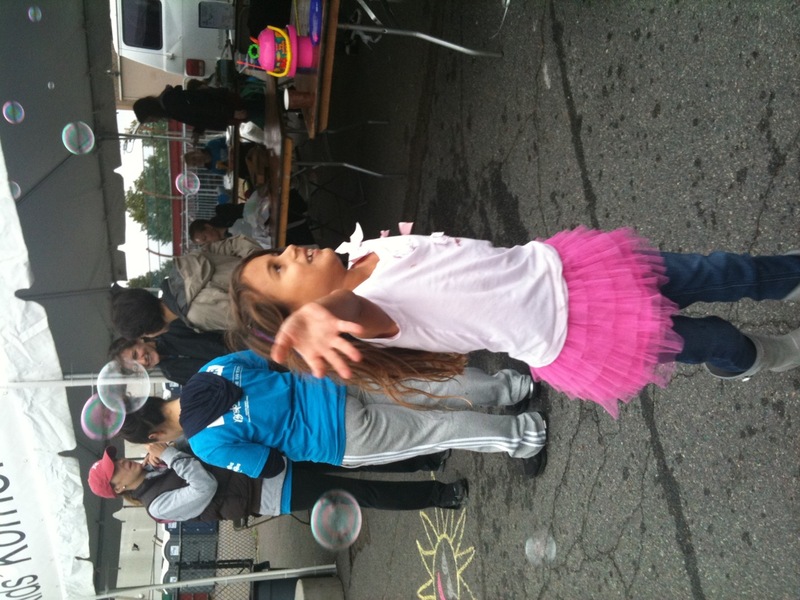 She followed the siren song of the bubbles at the Kid’s Korner and ran to hug each and every character she saw. 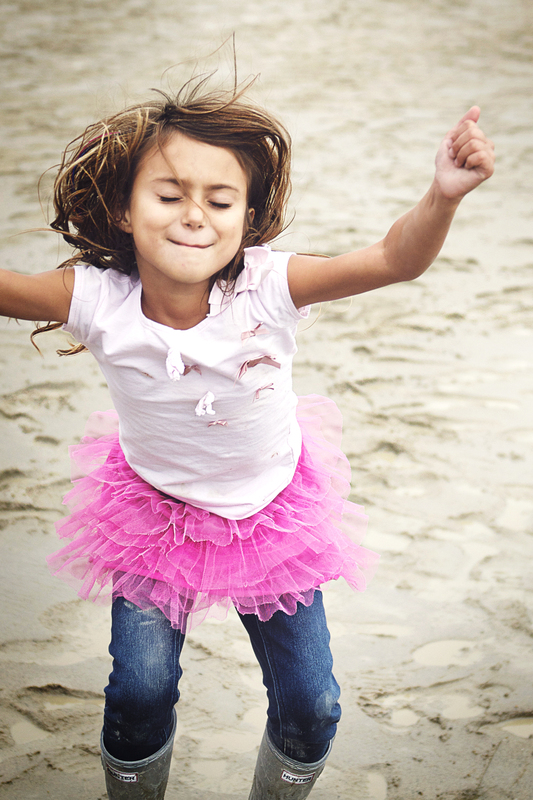 She reveled in the muddy track and danced and jumped and twirled her way through. She laughed. And so did I.
I was proud of myself. Gone was the mama who cried her way around the track. I’m getting stronger. Little by little, year by year. And so much of that is because of you, ya know? Because we’re in this together. 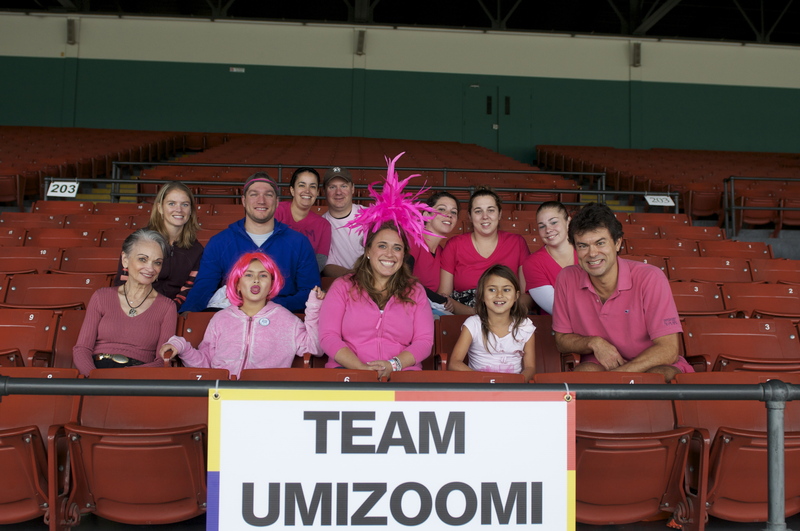 You and my girls and me, Luau and his running friends, my aunt and uncle, my work buddies, my mom, her husband, Luau’s college friends and every single person who contributed to the $29,424.02 that will go to the cause under the banner of Team Umizoomi. Nearly thirty thousand dollars. That’s almost an entire exploratory research grant. An entirely new idea given room to grow by YOU. 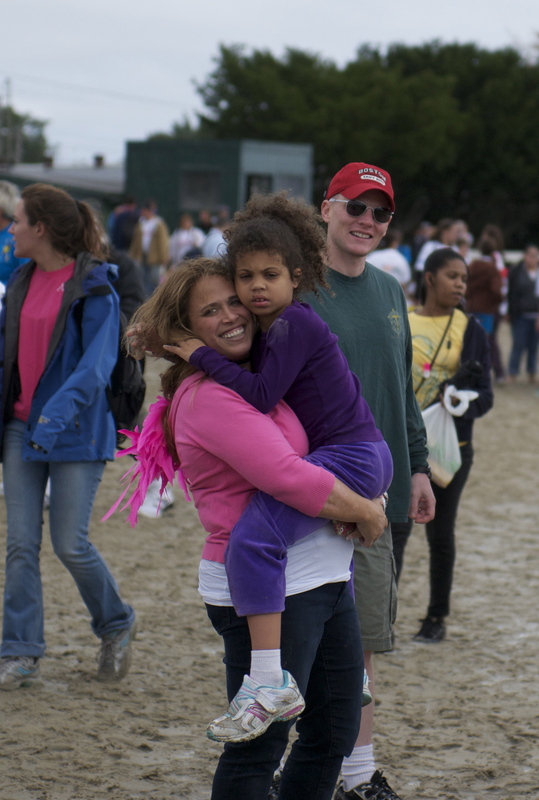 The benefit of having a family member photograph the event is that you get lots of pictures. I stole a bunch of these in their raw state and I’m pretty sure that I’m not supposed to publish them before they get, ya know, un-raw-stated, but we all know I have no patience, so hopefully Grandpa DD will understand. This is NOT the whole team, but it’s the whole team that could manage to be there for the picture. And it’s really, really not the whole team because it was taken by a team member. Thank you, David! Perhaps I should explain? 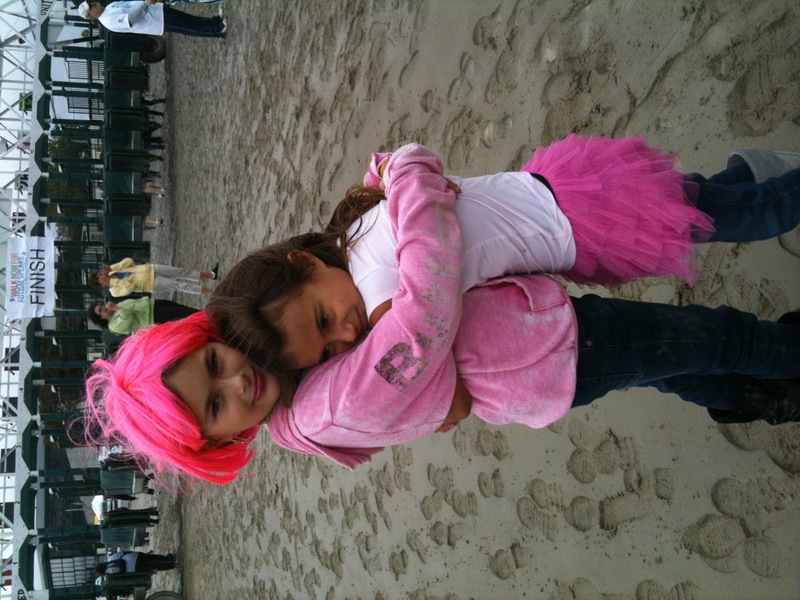 See, Brooke’s favorite color is pink. And this is about Brooke. And I want to make sure that we all remember that. So, well, there you have it. 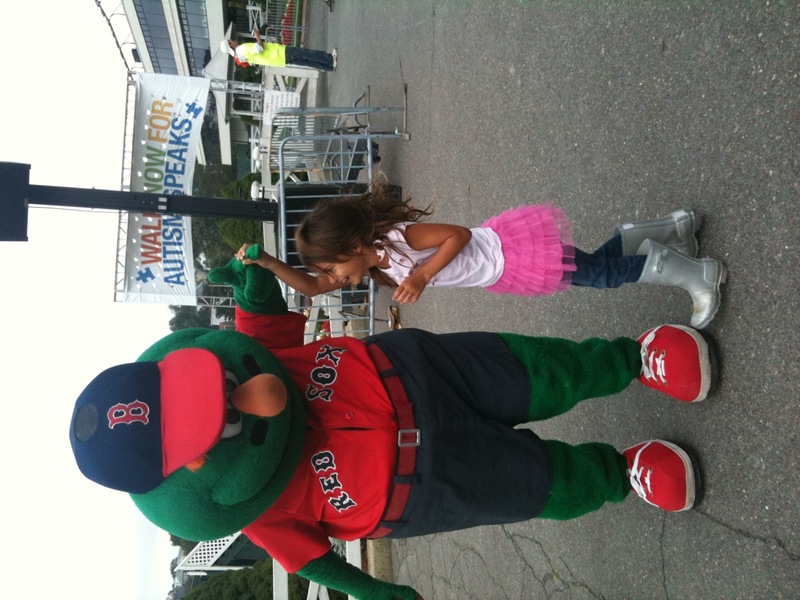 Dancing with Wally – the Red Sox Mascot. This is actually one of my favorite pictures. But its story is a post of its own. But THIS is my very favorite, for so many reasons. My sweet Rhema. Well, his sweet Rhema, really. (That’s her Dad, Major Brandon in the background). But for this moment, she was all mine. 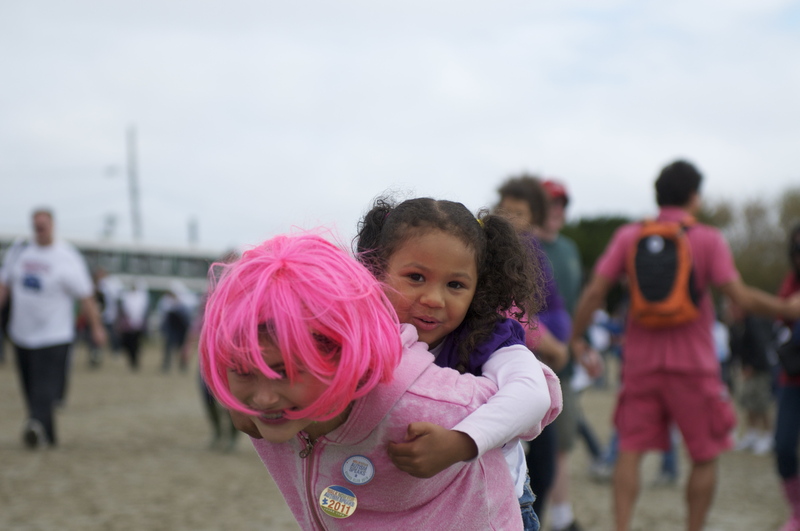 Katie giving a lift to Rhema’s sister Hope, one of my favorite little humans on this planet. I’ll say it again, the sibs will change the world. 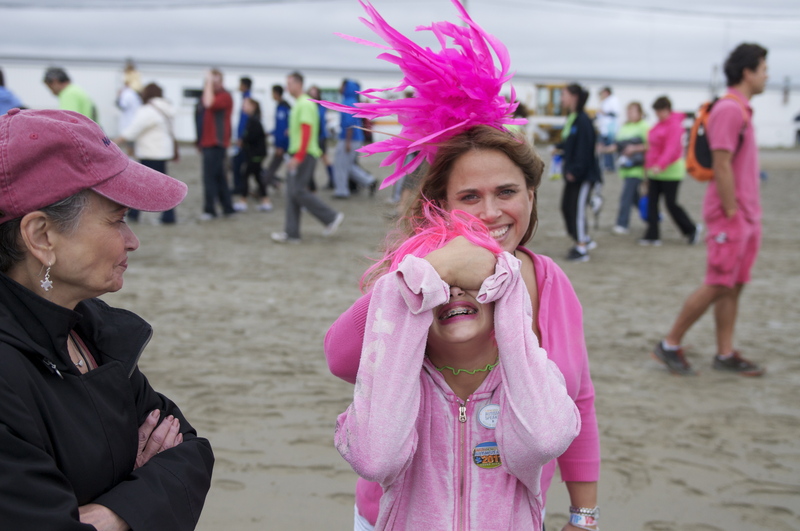 Me, Katie and my mom, who, as you can see, is not really a pink kind of girl. But she tried with the hat, so don’t tell her it’s Nantucket Red. Which isn’t pink. It’s red. My extended family – Jeneil, Judith and five of the beautiful reasons we were there. And an added bonus – now we all can blackmail Luau. 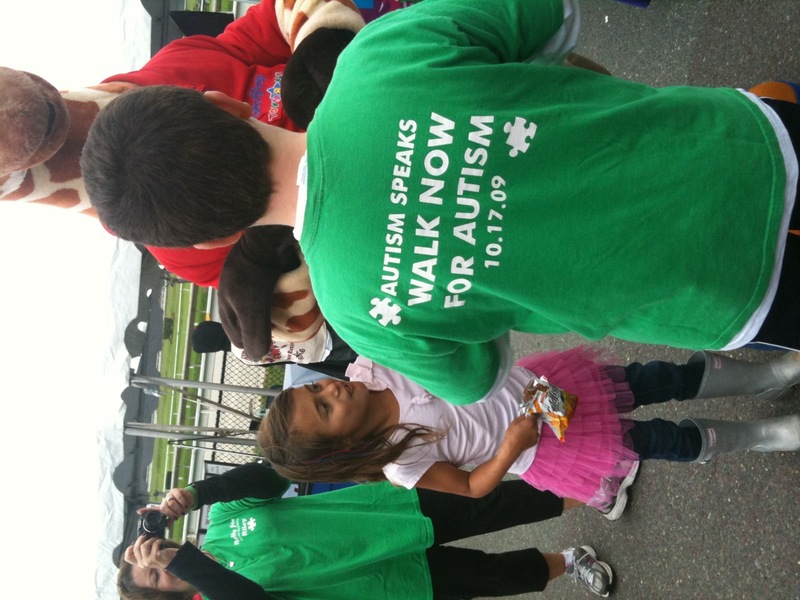 Thank you for walking with us, for supporting our girl, for taking the time to understand what autism really means to our family – to so many others. 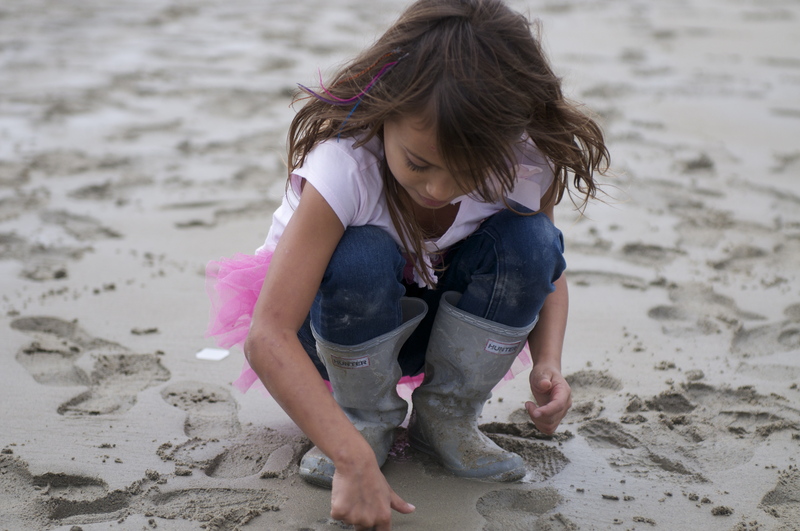 Thank you for helping us make the world a better place for kids like Brooke. A special thanks to my mom’s husband, David Land. If the picture is good, the credit is his. If it’s crap, it’s from my phone. And a shout out to Maxine at Grace Photography who fiddled with my very favorite shot and made it even more awesome – which I know that David would have done too had I actually given him the time. What a beautiful family and beautiful pictures. You and your family are an inspiration to me. Please keep writing your wonderful stories; they give me hope! …and you will note as you refer to the first picture, that I’m wearing a pink top but it was cold out there and I had to cover up!!!!! So there, you have it! It was a fantastic day. 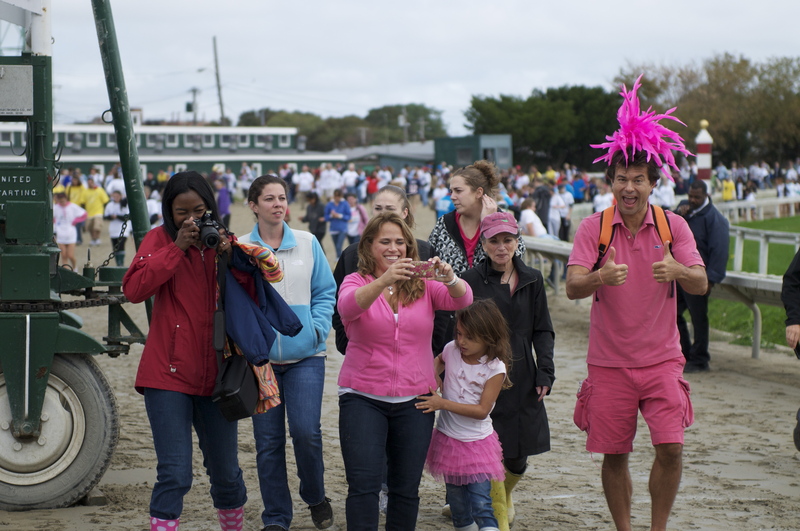 I totally caught the pink top! Thank you April. Can you please make sure Jess knows! Love!!! Love love love love love! Sooooo beautiful!!!! What a fabulous contribution, and those photos are truly amazing! I noticed the bag of Goldfish in the picture with the Toys R Us giraffe. 😉 Nearly $30,000. Yet another occasion for telling you you’re amazing!!!! beautiful pictures! 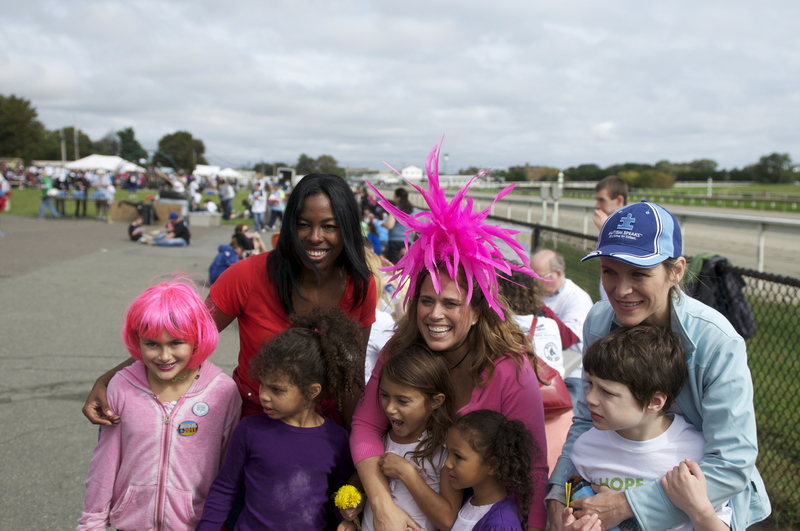 gorgeous family and friends walking together for hope. thank you for sharing. Thank YOU, Jess. It is your spirit that motivated all of the generous giving – giving that not only lends you and your family HOPE – but does so for ALL OF OUR FAMILIES. Tears. The good kind. What hits me the hardest, though? THIS: “Nearly thirty thousand dollars. That’s almost an entire exploratory research grant. An entirely new idea given room to grow by YOU.” Puts a whole different context around the walk and the money for me. Congratulations. All the pictures are wonderful but that one of Brooke is amazing. I read this poem today on another site and after just viewing the photo, I thought I’d post the poem here as it just seems to be talking about her in that photo. How blessed you really are!! Congratulations to you on your walk and on your beautiful, beautiful family and extended family! You are all awesome! 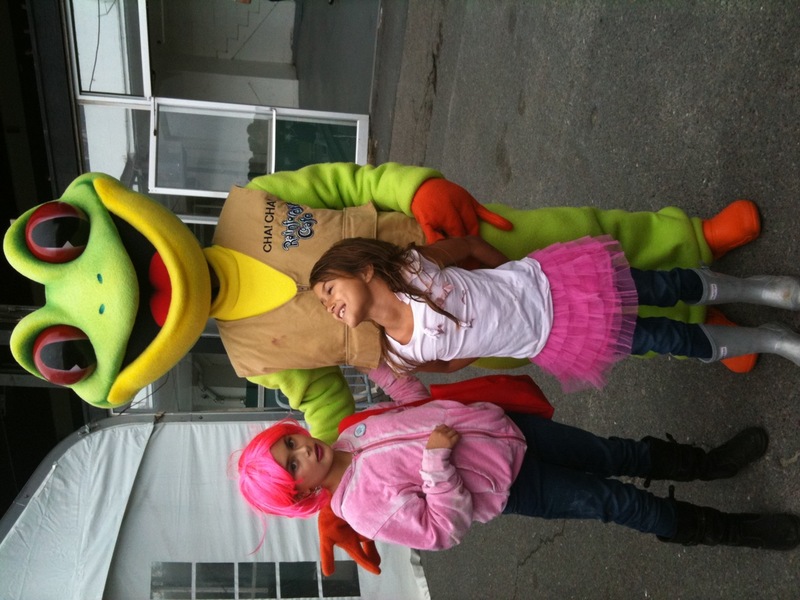 Awesome Rhema hug, i can see the joy on your face. She recently hopped up on my lap at her school for a minute or two, just swiped my hands out of the way and jumped up. pretty cool.